Selma Anderson, 81, Moorhead, MN, formerly Colfax, ND, passed away Monday, March 25, 2013, at her residence at River Pointe in Moorhead. The funeral service will be Saturday, 11:00 a.m., at Our Savior's Lutheran Church, Colfax, ND, with Rev. Roger Reinhart officiating. Visitation will be Friday from 5 p.m. to 8 p.m. at Vertin-Munson Funeral Home, Wahpeton, and one hour before the service at the church on Saturday. Interment will be at Our Savior's Lutheran Cemetery, Colfax, at a later date. Selma was born March 22, 1932, near Hazelton, ND, the daughter of Emil and Helmi (Maunu) Holsti. She graduated from Linton High School in 1955. She graduated in 1959 from Concordia College, Moorhead, MN, where she majored in math and biology. Her first and only school where she taught was Richland High School in Colfax, where she taught for the next 31 years. She was united in marriage to Clifford Anderson on November 5, 1960, at Kintyre ND. During her career of teaching at Richland 44 High School she also spent time as an interim principal, librarian, yearbook advisor and class advisor. She retired from Richland in 1990 and continued to live in Colfax. Cliff passed away June 2, 1995; Selma continued to live in Colfax until 2010, when she moved to Moorhead, MN. Selma was a member of Our Savior's Lutheran Church, Colfax, and was active in the community, including being an auditor for the City of Colfax. 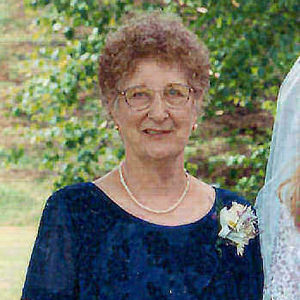 She enjoyed crocheting, gardening, baking and lawn care and especially spending time with her grandchildren. Selma is survived by her two daughters: Susan (David) Von Fruke, Chanhassen, MN; Candace (Chris) Dosh, Colfax; five grandchildren: Jairomie, Megan and Alexandra Gomez, Laura Von Fruke, and Autumn Dosh; her brother, Art (Peggy) Holsti, Bismarck; two sisters-in-law, Peona Holsti, Moorhead, MN, Irene Kelsch, Bismarck, many nieces and nephews, and a special niece, Loris Ista. She was preceded in death by her parents; her husband Cliff; five brothers, August, Lauri, Arnie, Wilbur, Howard, and a sister, Mildred Ista. The beautiful and interactive Eternal Tribute tells Selma's life story the way it deserves to be told in words, pictures and video. My love for teaching...and especially for math were do in part to one of my favorite teachers of all time. My sympathy to the family. She was always more than a teacher for me -- she was a friend. I am sorry to hear of her passing.